Learn hypnosis, past life regression hypnotherapy… for certification thru online hypnosis training videos. Hypnotherapy certification courses synthesize transpersonal psychology, clinical and Ericksonian hypnosis, medical hypnotherapy, NLP, past life regression, spiritual principles, shamanism and intuition. These cutting edge classic trainings were recorded in 1995. They continue to grow in popularity today. The Transpersonal Hypnotherapy Institute is a licensed hypnosis and hypnotherapy school offering hypnotherapy certification courses via online home study video training for career education, professional certification and spiritual growth. Study and learn self hypnosis, hypnosis and hypnotherapy from the comfort of your home through online hypnosis home study training. Receive support and education for personal growth and career development when you enroll in these quality online distance learning courses (correspondence courses, independent study classes). Visit us in person if you are in the Denver, Colorado area. Your satisfaction is guaranteed or your money back! Receive nationally recognized hypnosis certificates through online home study training. Become a Certified Hypnotist, Hypnotherapist, Clinical Hypnotherapist, Transpersonal Hypnotherapist, Medical Hypnotherapist, Past Life Regression Hypnotherapist, Transpersonal NLP Practitioner by taking our hypnotherapy certification courses. Clinical Hypnotherapist Certification training: 150 hours beyond the Hypnotherapist training. Begin by enrolling in one of these two core hypnotherapy certification courses to receive hypnosis certifications. They are designed to fit your lifestyle: you may complete your training early or ask for an extension. Fundamentals of Hypnosis leads to your Hypnotist Certificate. Take this introductory hypnotherapy certification course (25 hours of online home study estimated to take 3-months if you study only a couple hours/week) to learn self hypnosis and hypnosis. 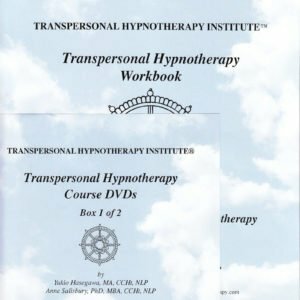 Transpersonal Hypnotherapy leads to both your Hypnotist and Hypnotherapist Certificates because it combines the Fundamentals of Hypnosis material in the Transpersonal Hypnotherapy course. 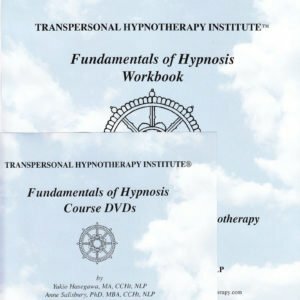 This professional course (150 hours of online home study estimated to take 6 months if you study only a few hours/week) gives you an in-depth study of hypnotherapy. Open your professional hypnotherapy practice after taking this course. If you are a transfer student with 100 hours of hypnosis study, take Transpersonal Hypnotherapy Protocols course (50 hours of online home study estimated at 3 months) to learn Transpersonal Hypnotherapy. Receive the Transpersonal Hypnotherapist and Hypnotherapist certificates. After completing Transpersonal Hypnotherapy (or transferring in credits from other hypnosis schools), take 150 hours of additional online hypnotherapy certification courses to receive your Clinical Hypnotherapist Certificate. Study medical hypnotherapy, transpersonal NLP, past life regression, intuitive skills and more online. You may also take most additional courses purely for personal growth. Become more intuitive (clairvoyant) and learn how to make the right decisions more quickly with our Intuitive Skills series of courses. 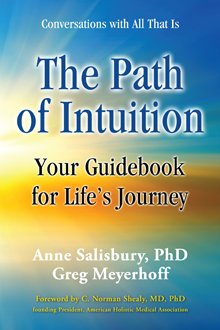 Begin with Intuitive Skills 1: Tools for Life. 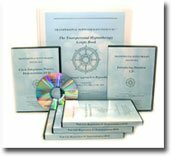 Watch clips from the classic Transpersonal Hypnotherapy online home study course training. 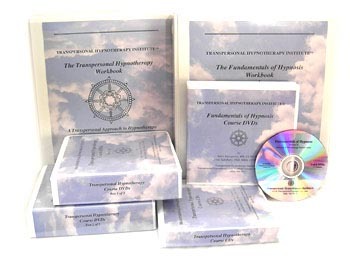 Fundamentals of Hypnosis course material is included in the Transpersonal Hypnotherapy course. Join a professional hypnosis organization: the Association for Transpersonal Psychology and Hypnotherapy. ATPH is dedicated to supporting hypnotists and hypnotherapists and issuing hypnotist, hypnotherapist and clinical hypnotherapist certifications. 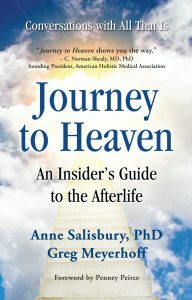 Receive hypnotherapy and intuitive coaching sessions by phone for personal, professional and spiritual development with Anne Salisbury and Greg Meyerhoff. 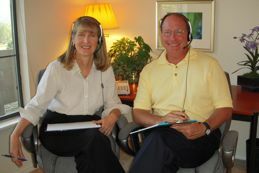 Learn from videos, audios and books on hypnotherapy and intuition. Learn self hypnosis through audios (guided meditations and meditation music) for spiritual growth and self healing. Sign-up to receive fascinating articles each month. Serving Denver, Boulder, Colorado Springs, Breckenridge, Vail, the world!